Consciously or unconsciously, every creature from the beginning of time has been involved in a quest for survival. Their level of health and vitality best measures the degree of their success. If they are surviving well, they are strong, and well functioning. If not, they are weak and ill. The better they survive, the healthier they are. Survival is not guaranteed. It is not always easy. It takes effort. Most of us are fortunate not to have to protect ourselves from predators or from hostile physical attack. Our survival, however, is still at risk for gradual and premature decay. 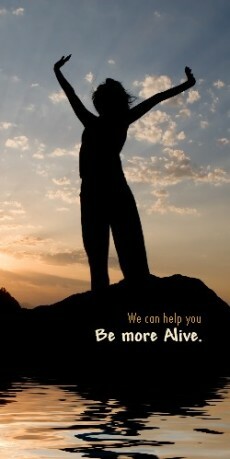 The quest for health and vitality is the modern version of our quest for survival. It still takes effort. Since our survival is important to our success, one would think that we would use our state of health as a key measure of success. When we feel well, however, we do not always remain conscious of the benefits that we are experiencing. As a result, it has become common for many of us to measure success by a different yardstick. It has become popular to measure success by things outside of who we are, things that are not intrinsic to our well-being. We may measure it in material terms, what kind of house we live in, what kind of car we drive, or in abstract terms such as how much money we make and how cool we look. Upon deliberation, would it not appear that this popular definition of success is distorted? Most of us have limited resources. If we behave rationally, we allocate our time and spending power to those things that we value most. The danger of distorting the meaning of success is that it distorts the values that we use to make decisions about how to invest our time, money, and effort. How many people purchase big screen TVs but cut the cost of their grocery budget? How many people renovate their house, buy a motorboat, buy a new car, travel, but spend no time or money to exercise, to cook nutritiously, to meditate, to relax, or to purchase health inducing products or services? Health can make the difference between pleasure and suffering. Unfortunately, many people find it easiest to appreciate their health when they loose it. When people are sick and in pain, their lives can become miserable. Pain can become very influential. Productivity and relationships suffer. Soon the motorboat, the entertainment center, and the car they drive become less important. People realize that the true cost of health is not having it. Some want a silver bullet to relieve the pain so that they can go about life as before. Fortunately, others become receptive to a fundamental shift in their values and their way of life. They become motivated to spend the effort, time, and money required to regain their health despite the knowledge that it may be greater than had they maintained it all the while. While working to relieve your pain, we encourage you to view your experience as an opportunity to reexamine your values, to appreciate the value of health, to recognize that you can be healthier, to visualize what you would gain if you were, and to learn how to achieve it. We hope that you come to understand that much of your current state of health is the culmination of the many lifestyle choices that you have made in your life and that there is no time like the present to build a strong foundation for a healthy future. Whether or not you pursue health care support at HOLLY HOUSE, we hope that this awareness helps you to consciously choose health for your own benefit when determining how to invest a portion of your attention, effort, and resources. It is the first and most fundamental step that you can take toward better health.